The Gray Nicolls Legend cricket bat range is know to the amongst the finest bats available. Some would say that down to the price, as they are the most expensive, amongst all the brands. Whilst they are most certainly at the pinnacle of the pricing scale, the quality is there to match to you both junior and senior models. The clean laser in graved look at was introduced to the models last year really sets the tone for the overall look, feel and ultimate appeal of the bat. 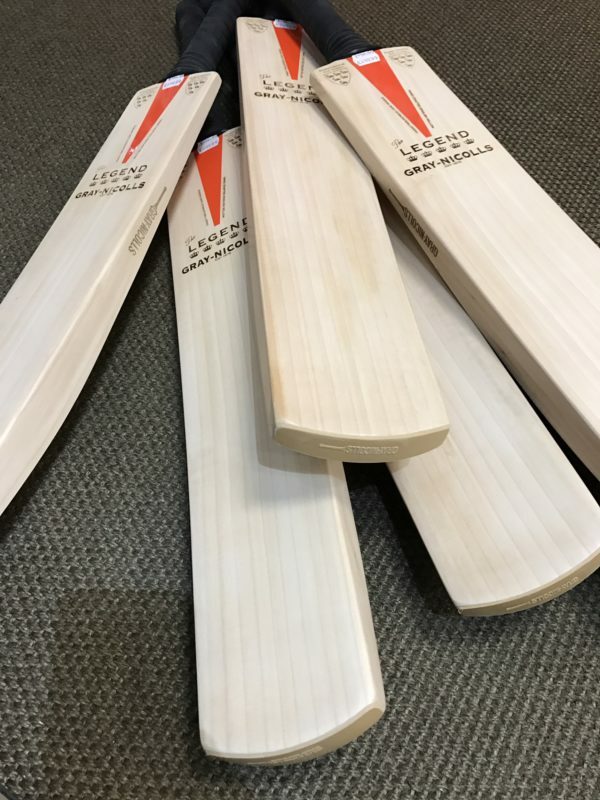 Then it’s the finishing, workmanship and grain structure that shows you only the finest willow clefts are used for the manufacture of the Gray Nicolls Legend cricket bats. The quality of the blades found in the full size model passes through to the Harrow, 6 and size 5 models too. Junior batsmen can now experience the very best. Here are the full details on the Gray Nicolls Legend cricket bat range.